The prestigious Putnam Mathematical competition is comprised of a written exam that is administered annually each December, and is widely known as one of the world's most difficult scientific competitions. Over 4500 students at nearly 600 institutions competed this year, and out of a possible total of 120 points, the median score this year was 1, which means that over half of the students who competed earned either zero or one point! 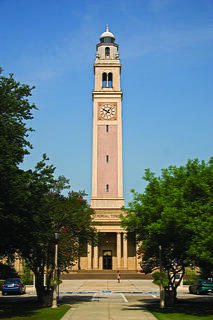 LSU had 5 students exceed the national median, led by Blake Tillman, whose score of 18 points was ranked 823th nationally.